The Russian military department explained the peculiarities of the spring draft campaign, which began on April 1. Under the presidential decree, 135,000 people will be sent to military service this spring. At the same time, a number of new legal rules on conscription began to operate. According to the Ministry of Defense, from March 18, 2019, in accordance with the new law, recruits who had previously received a deferment for school, were given the right to one more deferment. It can be provided for obtaining secondary vocational education or in magistracy. The second innovation in the spring of 2019 is connected with military registration of draftees. According to the law of February 6, 2019, citizens of military age must be registered with the military in the military commissariat at the place of residence or stay, regardless of the presence of registration. The military department explains that this change in legislation is especially relevant for non-resident recruits studying at universities, but not having registration. Now they will not need to return to another region to submit a certificate of training, to go through a draft board and legally receive a deferment. The Defense Ministry also announced plans for the spring draft campaign. Thus, it is planned to send 300 people to scientific companies. Today there are 16 such companies in the army. 624 lucky ones from among the most talented graduates of civil universities, who are inclined to scientific work, serve in them. Sporting companies will get more than 190 people. Now there are 4 sports companies in the army, in which 370 outstanding young athletes serve. In regions such as the Republic of Sakha (Yakutia), Trans-Baikal, Kamchatka and Khabarovsk Territories, as well as the Chukot Autonomous Region, the call will begin a month later – from May 1. Parents of draftees have the right to attend meetings of draft commissions. Last fall, 7,000 parents took advantage of this right. 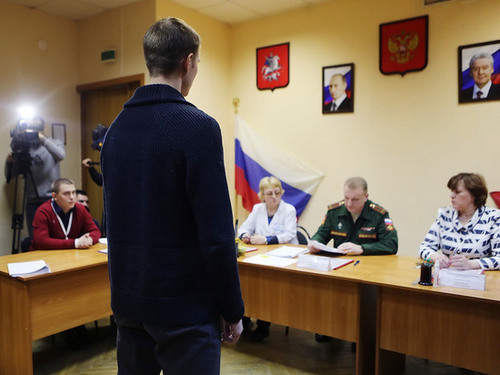 The Ministry of Defense notes the decline in the number of citizens running from conscription. This spring, the number of people who failed to appear on the agenda of the military enlistment office is three times less than in the spring of 2018. Recruits will again be issued bank and personal e-cards and a travel bag. Spring appeal is inevitable, as spring itself. He started on April 1 and, as always, took some by surprise. 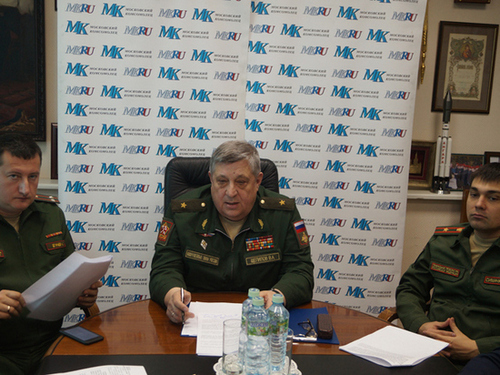 To the questions of the readers of the “MK” – recruits and their parents – the military commissioner of Moscow, Viktor SHCHEPILOV, the deputy military prosecutor of the 231st military prosecutor’s office of the garrison, Alexei YGUNEV, and the deputy military prosecutor of Balashikha district, Igor SIMACHKOV. – Previously, it was possible to use smartphones and other gadgets in the army, but now the law has changed? V.SCH . : – Indeed, the Law “On the Status of Military Personnel” has been amended, according to which electronic devices that allow transferring geolocation information and photo and video materials to the Internet are now forbidden to use not only draftees, but also all military personnel. That is, the phone will definitely have to be left at home with a camera and Internet access. But you can take with you a simple push-button telephone. I also want to draw attention to the fact that the procedure for its use is regulated by the commander. – Delay rules for students often change. Specify what they are in this call? – Now the citizen who used the first reprieve at school, gets the right to postpone to get a secondary vocational training – that is, to study at a technical college or college. In addition, those who also used the reprieve at school, but then entered the university to study for the undergraduate program, now have the right to use the reprieve in the magistracy. – How did the rules for registering draftees change? А.Е . : – Now, a young man who is constantly registered in one place and actually lives in another does not need to travel, for example, from Moscow to the neighboring region, in order to pass there the events related to the call, or to provide the information necessary for getting a deferment. If a draftee, for example, is studying at a university, he has the right to register with the military in the military office near which he lives, without having documented registration at the place of residence. But the young man is obliged to provide the military registration and enlistment office with documents explaining his stay at the place of actual residence – a certificate from the university or from work. Criminal responsibility for evading military service (Article 328 of the Criminal Code of the Russian Federation provides for punishment of up to two years in prison. – “MK” ) recalled the deputy military prosecutor of the Balashikha District. I.S . : – Materials are sent to the investigating authorities for all citizens who have gone through conscription activities, received a summons to be sent to the troops, but have not arrived. Statistics show that in Moscow and the Moscow region the number of draft dodgers is decreasing, now they constitute only one percent of the total number of draft troops.